The Government’s objective of eliminating fuel poverty in England by 2016 depends on many factors, not least the ability to accurately and efficiently target households where fuel poverty is most likely to be found. To this end, the Centre for Sustainable Energy, in partnership with the University of Bristol, developed an on-line tool – known as the Fuel Poverty Indicator (FPI) – to predict the incidence of fuel poverty in each electoral ward in England. The FPI was based around dedicated website which was launched in 2003 and upgraded and redesigned in 2009. It combined data from three sources (the 2001 Census, the 2003 English House Condition Survey and the national property database, RESIDATA) to predict the incidence of fuel poverty in each electoral ward in England. CSE is no longer funded to update the Fuel Poverty Indicator, and the site closed in 2012. However, an archived version will continue to be viewable here. If you're looking for the most recent data, please contact BRE. 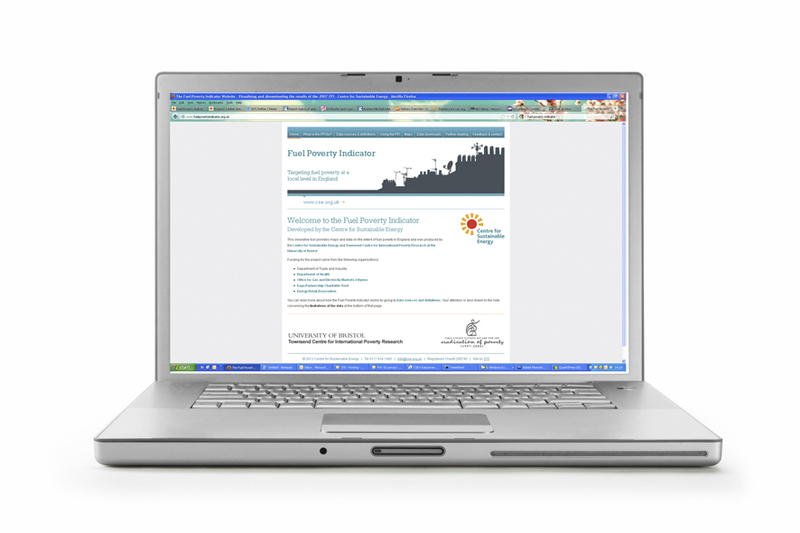 The Fuel Poverty Indicator was designed to help a range of professionals whose efforts are central to the eradication of fuel poverty: policy-makers, local authority officers, specific staff within the energy utilities, energy efficiency advisers, health professionals and others in the energy and health sectors. For these groups, the benefit of the Fuel Poverty Indicator was that it helped to focus their efforts and resources on small areas where the need is greatest, thus avoiding the costly and inefficient ‘scatter-gun’ approach. The Fuel Poverty Indicator worked by combining data from three sources listed above and using this to draw up a series of maps showing the incidence of fuel poverty at ‘Lower Super Output Area’ level – geographical units of varying size but which typically contain about 400 households. The map of Somerset (below) shows how this works, with areas of lower fuel poverty in blue such as Yeovil (in South Somerset district), Frome (top right of Mendip district) and Taunton (Taunton Deane district). West Somerset, which is largely off the gas network and contains many solid-walled 'hard to heat' homes, shows up in dark red indicating a higher rate of fuel poverty. Informing research, e.g. exploring the relationship between fuel poverty and health inequalities, other health indicators and deprivation indicators. Interpretation of the distribution of fuel poverty within a particular area and its implications for the planning and delivery of fuel poverty programmes/strategies. Funding for the Fuel Poverty Indicator was from the Department of Trade and Industry, Department of Health, Eaga Partnership Charitable Trust, Energy Retail Association and Ofgem. CSE was responsible for project management, dissemination and research advice, while the research work was lead by the University of Bristol’s Townsend Centre for International Poverty Research.